Today I am going to share with you a couple recipes to make that will last a whole month. The best part is you can make them in one day! Saving time and money! 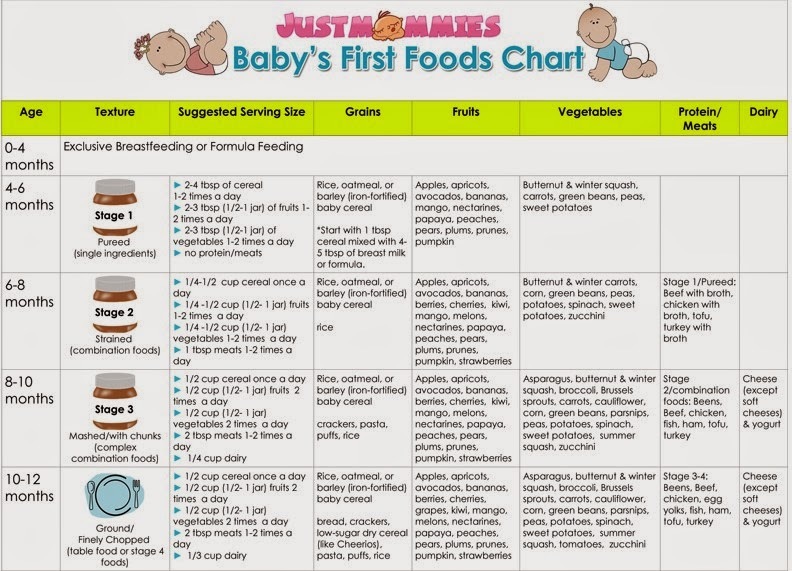 Obviously you should always consult your own doctor before introducing solid foods to your baby. I used this as a guide. But you can choose however you'd like to start. 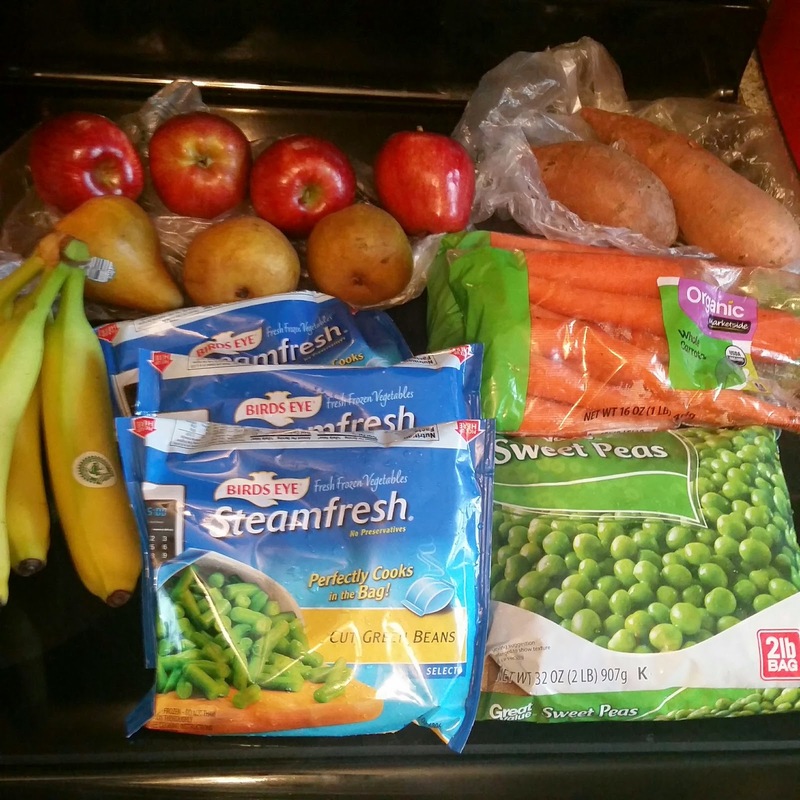 For Amiliana, I chose to do carrots first and have cereal every other day, just so her body can get use to it. We started about a month ago when she turned 4 months because she was definitely ready! OK back to the food....First your going to go to the grocery store. First your going to start by washing everything!!!! Turn on the oven to 400. 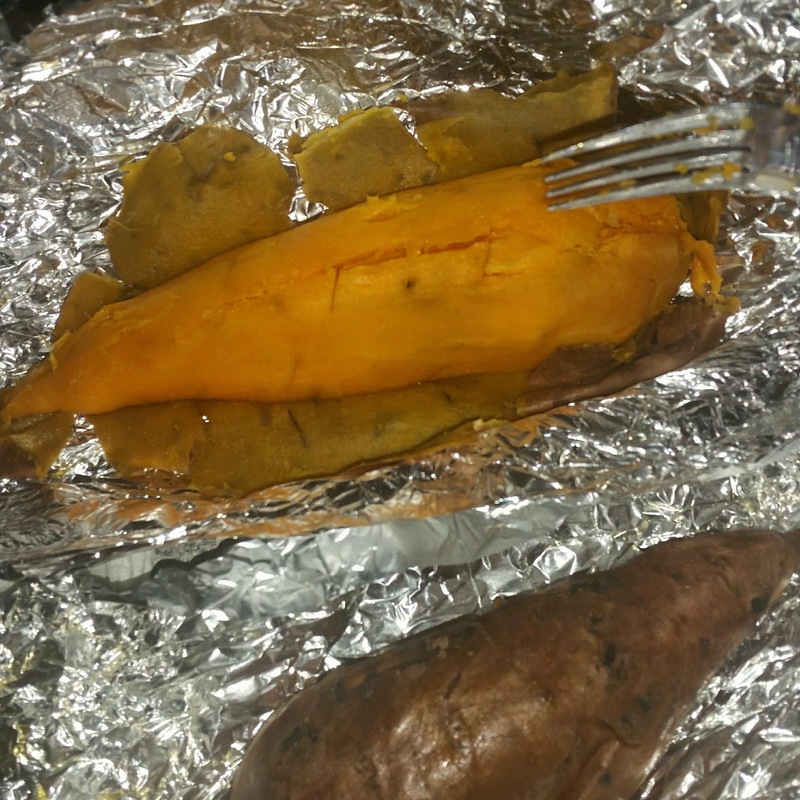 Poke holes in Sweet potatoes then wrap in aluminum foil. 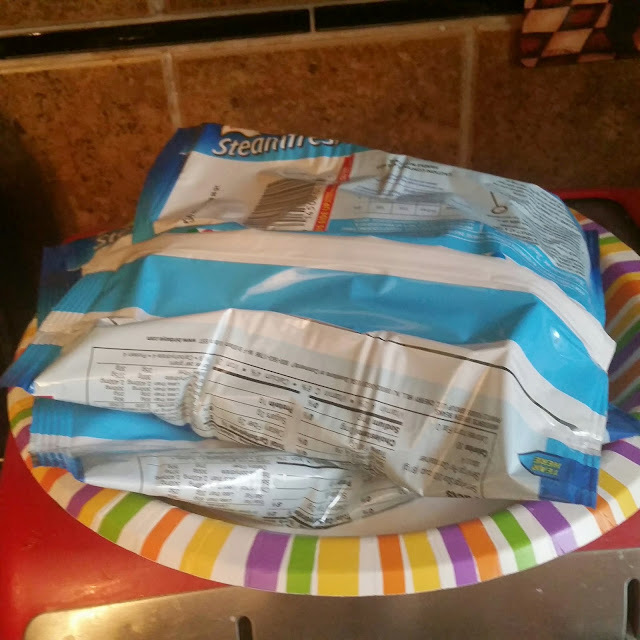 Preparing the green beans by steaming them in the bags in the microwave. 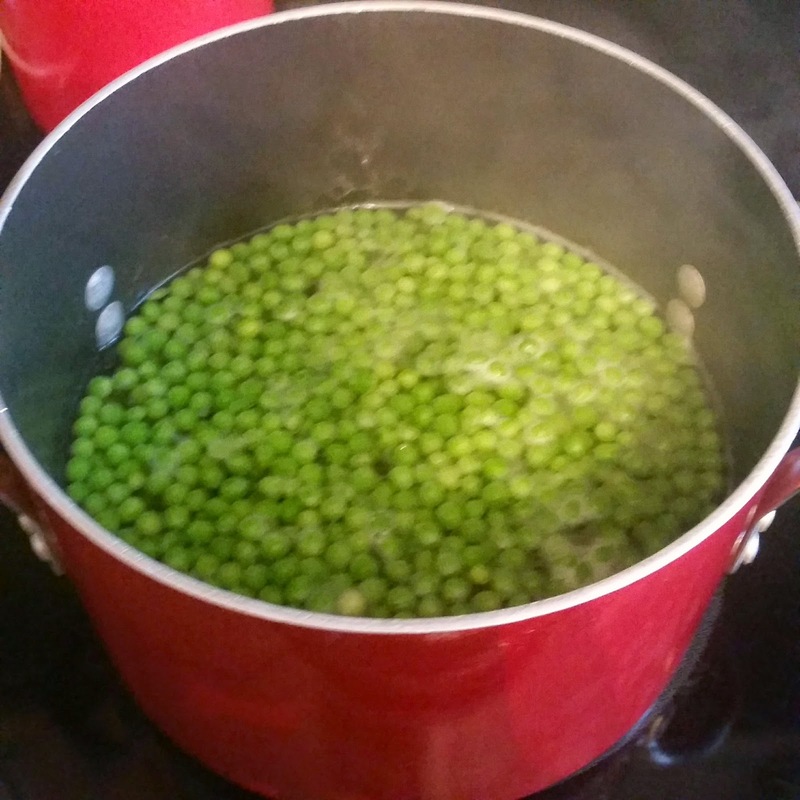 While those take about 15 minutes to complete your going to bring 2 pots of water to a boil then add your sweet peas to one. (the other is for your carrots) Cook the peas until soft. Start on your carrots. You will need to shave and then cut into little pieces. Then put them in a pot of boiling water as well. Cook until soft. 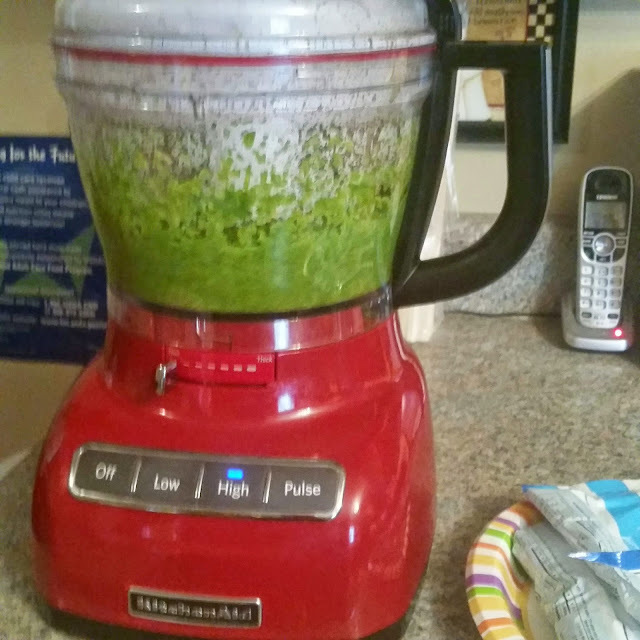 Clean the food processor out and put the green beans in your container. 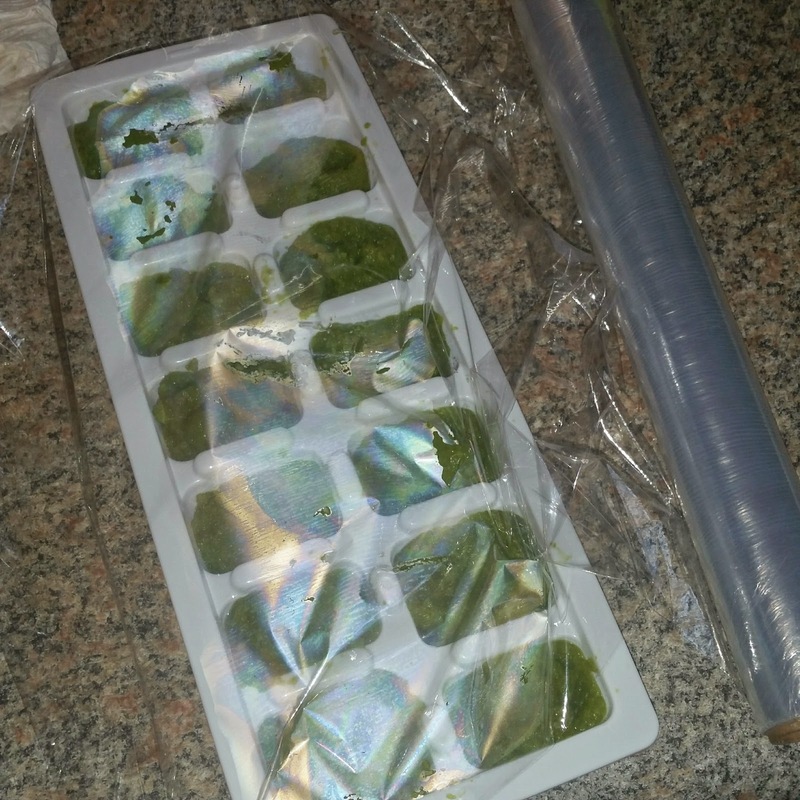 I used ice cube trays, Then wrapping them in clear plastic wrap until they are frozen. Put the peas in the food processor and again using a little water to thin them if needed. 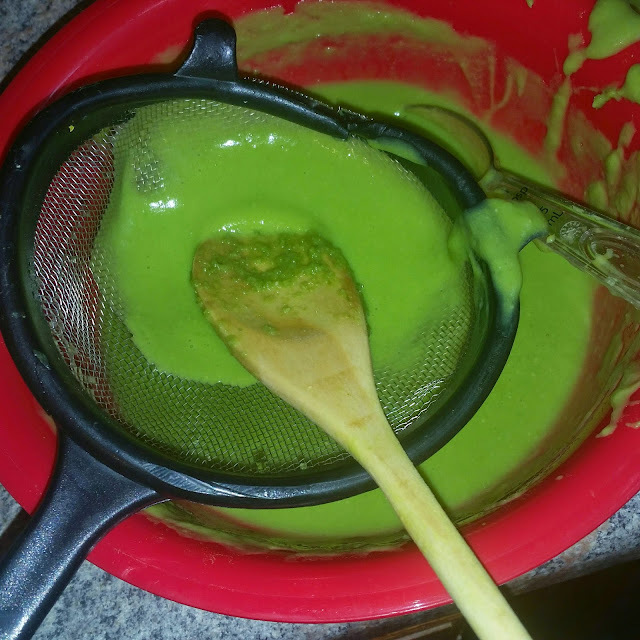 After you have done this you will need to get the pea skin out by using a strainer. Then add to ice cube tray. 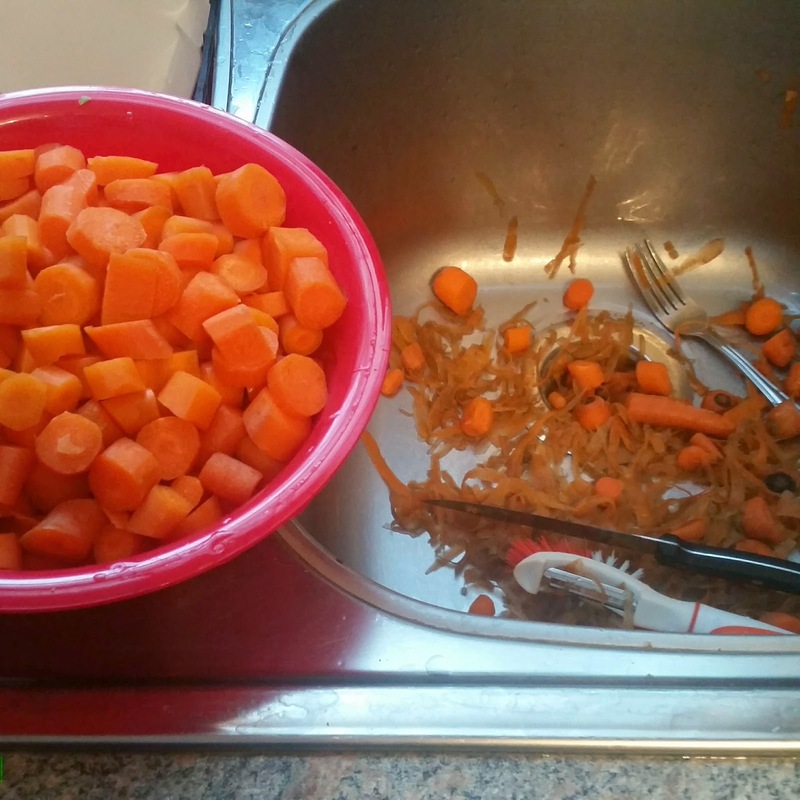 Clean the food processor and add the carrots. 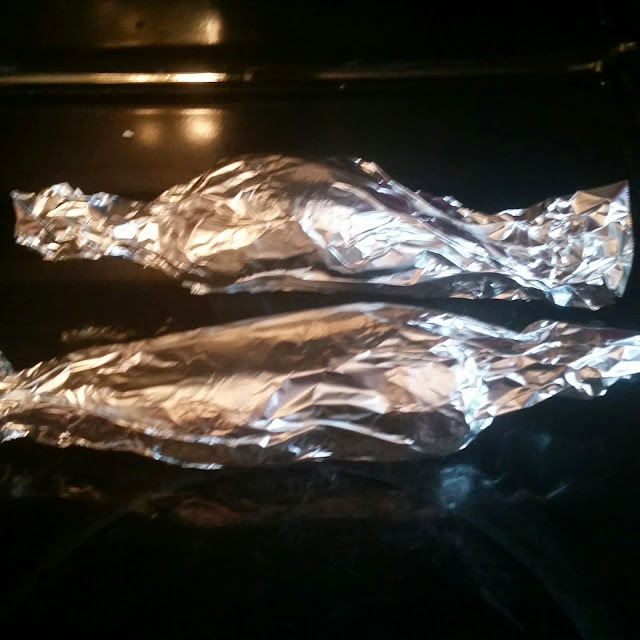 This is a good time to get your sweet potatoes out of the oven and let them cool off. When the carrots are done you are going to put them in ice cube trays then clean the processor. Now peel the sweet potatoes so you can drop them in the food processor. 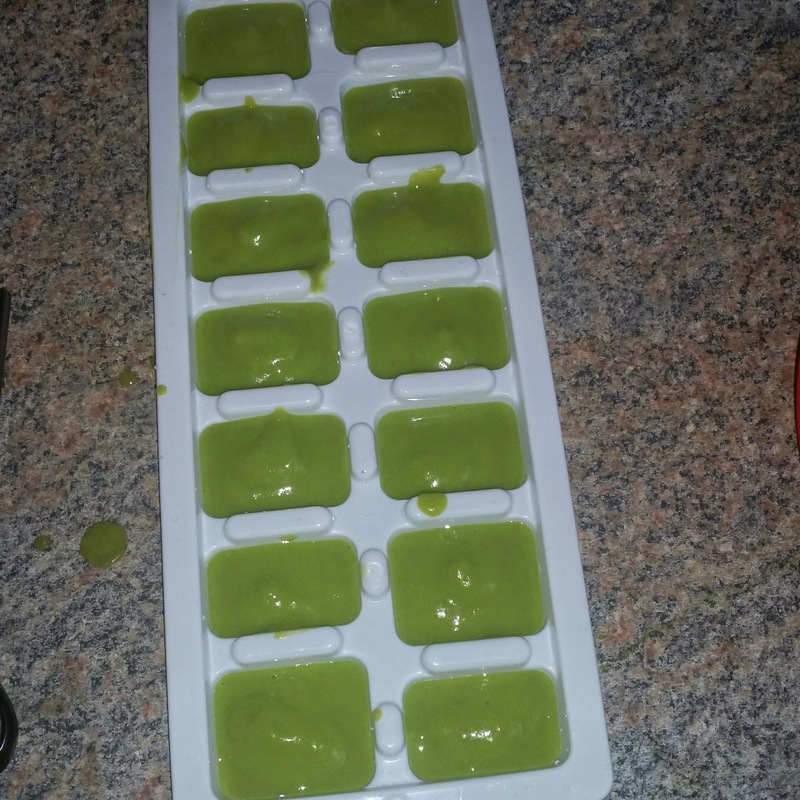 Then add those to ice cube trays to freeze. For the bananas you are going to just mash them when you need them. When all of your cubes are frozen, I'd give or take about a half day, you plop (yes I said that lol) them right out of the ice cube trays and put them in freezer zip-lock bags and mark what it is and the date. 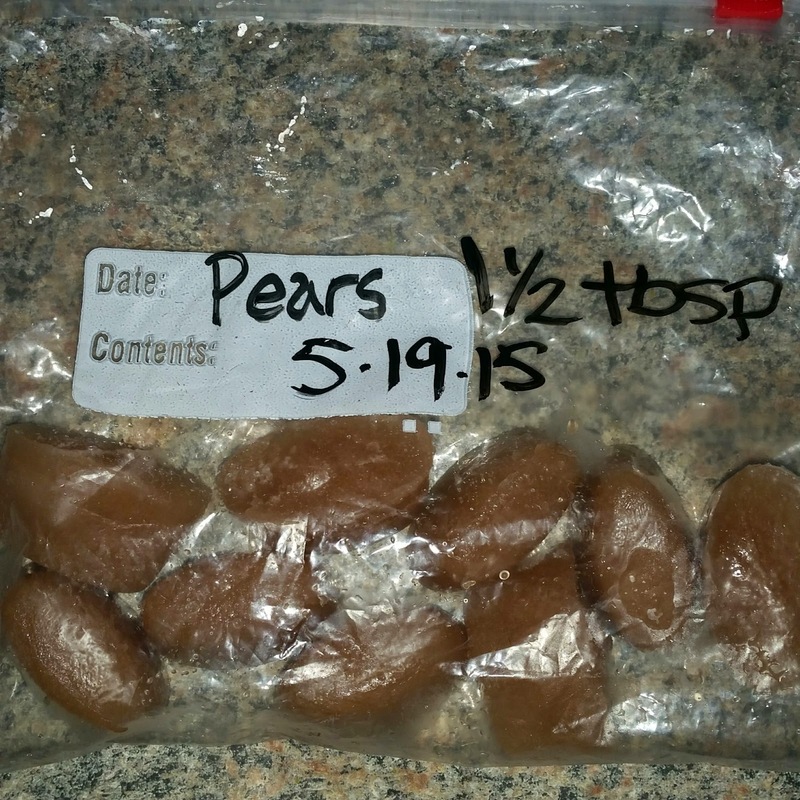 The food will be good in the freezer for about 3 months. 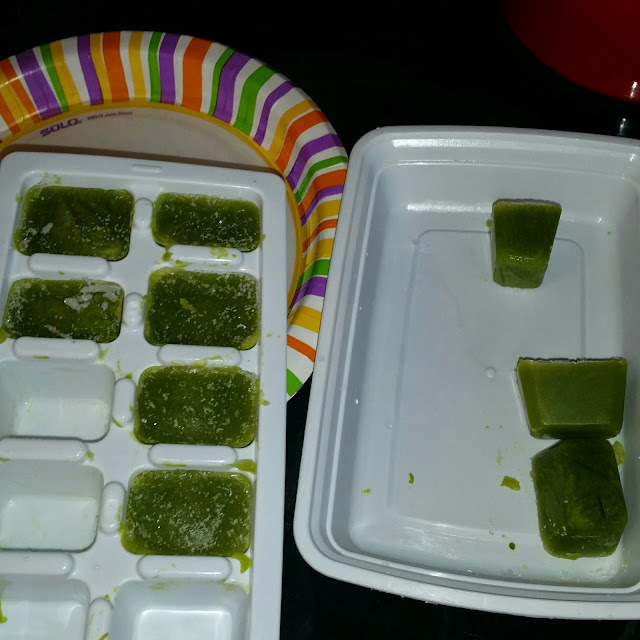 Each cube is about 1-2 oz. 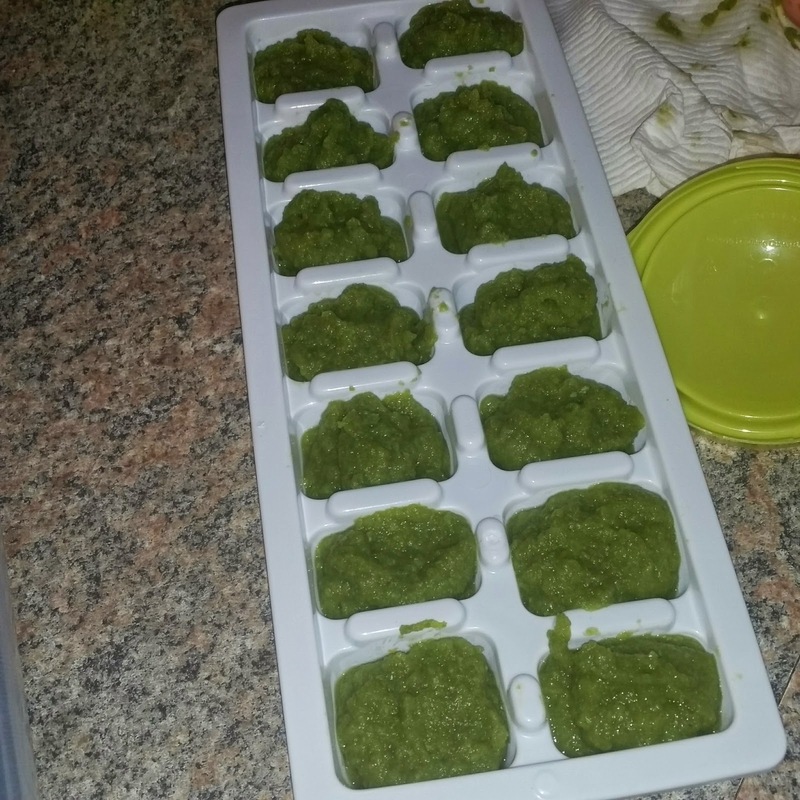 I usually put 2-3 cubes for the next day in the fridge the night before to give it time to defrost and be ready to eat. I always forget and I'll have to heat it up in the microwave. BUT make sure to use a glass container and not plastic, also add a drop or two of water so it doesn't dry the food out and burn it! The only thing I would say that was a negative outcome, would be the dishes you encounter on this journey... Cleaning that processor and the ice cube trays are NOT my favorite! But knowing what my baby is eating, is my favorite part. 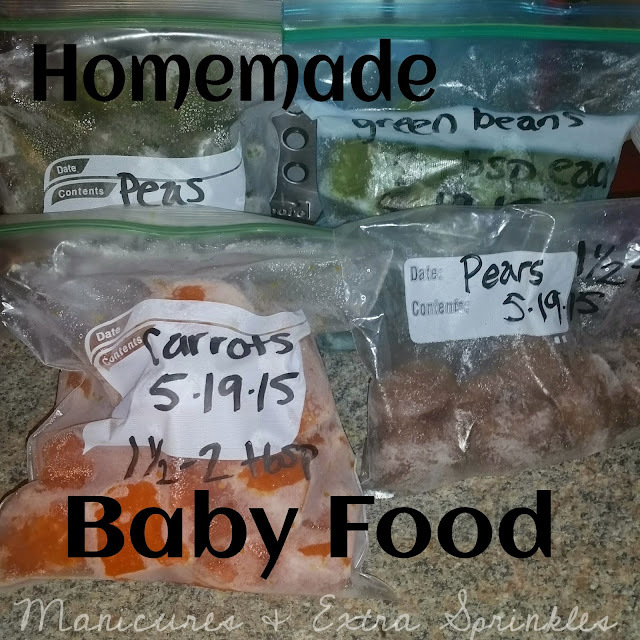 You can also check out more homemade baby food here at the Top 45 Best Baby Foods. There are so many foods to choose from!